Overfishing is an incredibly important issue in conservation across the world. It is a form of overexploitation where fish stocks are reduced to below sustainable levels. Overfishing can occur in water bodies of any sizes, such as ponds, rivers, lakes or oceans, and can result in resource depletion, reduced biological growth rates and low biomass levels. Continual overfishing can lead to the fish population being unable to sustain itself, and possible negative impacts to the whole ecosystem. Galapagos is home to some of the most environmentally sensitive waters on the planet. New species of fish, shark and mollusc have recently been discovered in the waters surrounding the Islands. This indicates that there may still be lots of other new marine species in the waters surrounding Galapagos that we have yet to discover. Overfishing in the waters surrounding Galapagos combined with changes to the marine climate has led to the destruction of the majority of the coral reefs in the Archipelago, many of which had existed for hundred years. Some forms of overfishing, for example the overfishing of sharks, have led to the upset of entire marine ecosystems. Between 2009 and 2017, the Galapagos National Park (GNP) captured 19 illegal fishing boats in the Galapagos Marine Reserve (GMR). The waters surrounding the Islands are home to one of the highest concentration of sharks in the world and they are usually the main target of illegal boats, harvested solely for their fins to fulfil the high demand for shark-fin soup in Asia. In 2017, the GNP captured an illegal Ecuadorian fishing boat which contained a total of 156 individual sharks, and a Chinese fishing boat which contained over 6,000 individual sharks. Sharks are not just at risk from illegal fishing in the GMR. Many of the sharks found in the GMR are migratory, including whale and scalloped hammerhead sharks. Once these sharks move outside of protected waters, they become highly vulnerable to being caught as bycatch by industrial fishing fleets. Sea cucumbers have become favourable targets for local fishermen, as these are also popular within the Asian market, famed for their supposed aphrodisiac or medicinal qualities. Due to the alarming decrease in sea cucumbers in the early 1990s, an Executive Decree enforced by the GNP banned all fishing of sea cucumbers. The ban was then lifted and replaced with a quota, for both sea cucumbers and lobsters. Today, however, the waters surrounding Galapagos still contain low levels of sea cucumbers and lobsters. 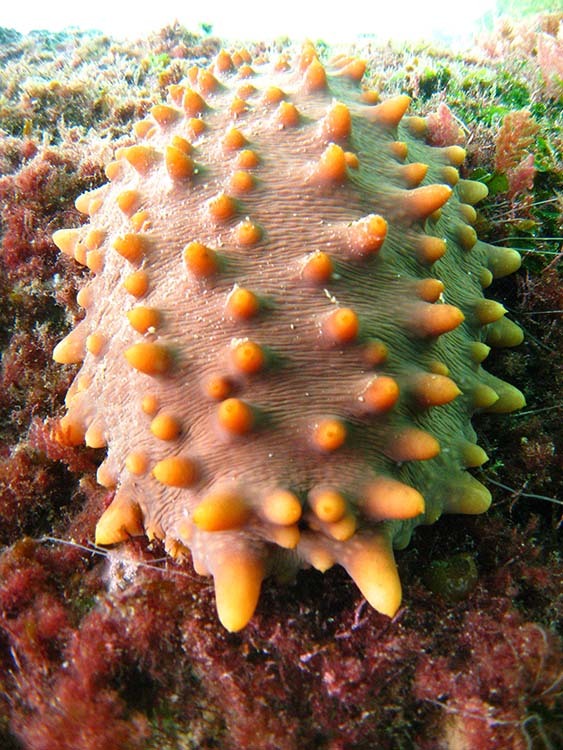 In addition, the removal of so many large predatory fish and lobsters from the Islands’ seas has led to huge numbers of sea urchins colonising the area. Subsequently, the sea urchins have overgrazed the coral, damaging it further and preventing it from re-establishing. In order to counteract some of the damage done by the fishing industry, a marine reserve was established in 1986 by Leon Febrès Cordero. 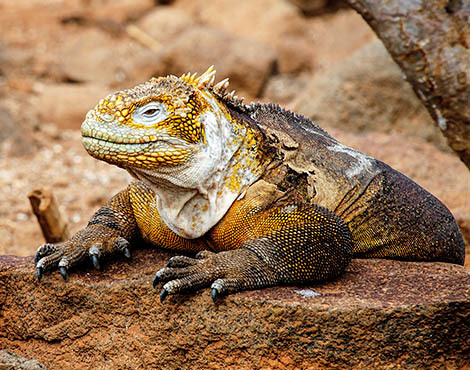 In 1998 it was expanded and officially named the GMR and in 2001, UNESCO expanded the World Heritage Site status of the Galapagos Islands to it. In March 2016, Ecuador’s president, Rafael Correa, announced the creation of a new marine sanctuary, together with 21 smaller conservation areas scattered through the volcanic Archipelago. 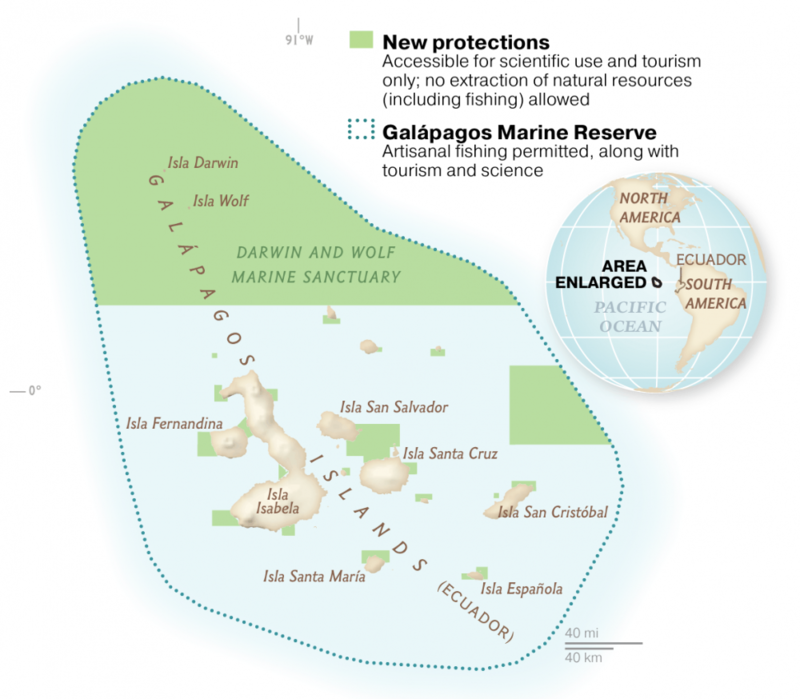 The Ecuadorian government are now protecting over 47,000 km2, about one third, of the waters around Galapagos. The new sanctuary alone encompasses 40,000 km2 and extends around the northern islands of Darwin and Wolf, where the greatest concentration of sharks can be found. GCT support a number of projects that protect the GMR and its biodiversity including its Endangered Sharks of Galapagos programme which focuses specifically on protect sharks throughout their lifetimes. These studies collect and analyse data which will help to inform management decisions, and are incredibly important for the survival and protection of the marine life surrounding Galapagos, as well as the rest of the world. Learn more about our Endangered Sharks of Galapagos programme.